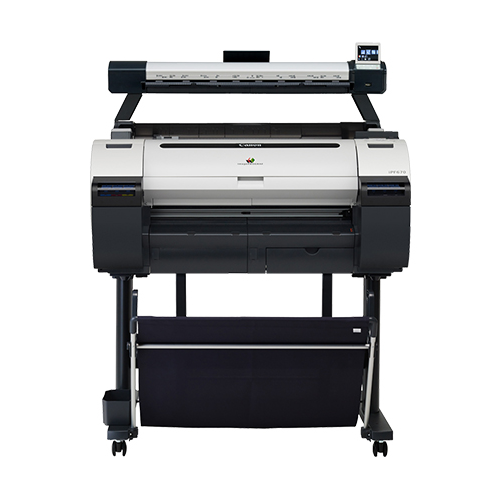 Easily print line drawings, renderings, job site signage, and other large format graphics with the Canon TM-300. Available as a stand alone printer, a low volume multifunction model or a high volume multifunction model. The Canon TM-300 is a 36″ large format printer, designed for Architects, Engineers, and Contractors. Featuring a 5-color, pigment based ink system, line drawings and renderings are pixel perfect in both color and black and white. Fast print speeds, large paper roll capacity, and 300ml ink tanks allow users to print longer runs, in less time, without replacing supplies. The new TM-Series is also 60% quieter than its predecessors. New features include: touch screen panel, Wi-Fi printing, direct USB thumb drive printing, pigment ink, and increased security features, all packed into a small footprint (42-inches tall, 51-inches wide, and 34″ deep).